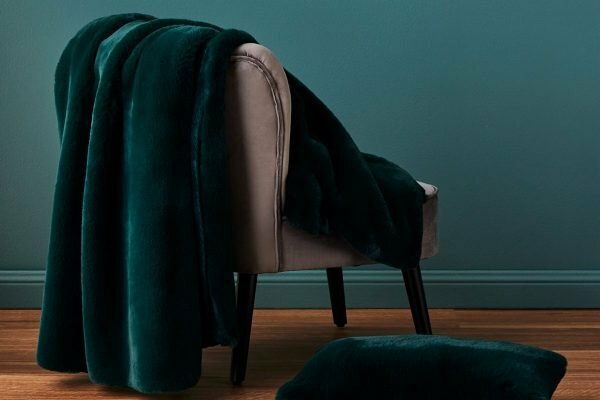 The BIG W velvet arm chair and ottoman you need to live your winter best. 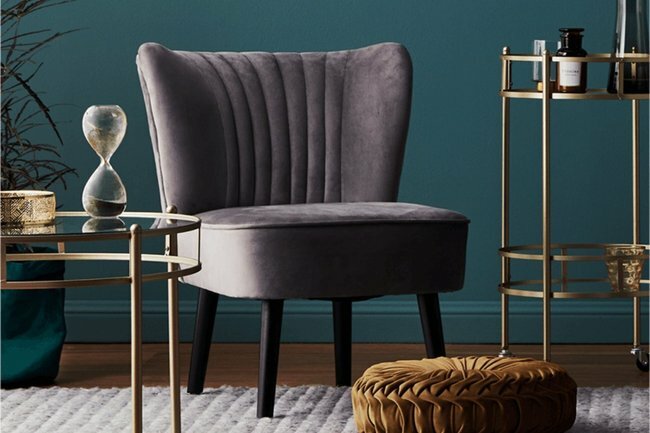 This $99 BIG W velvet 'slipper armchair' is what our couch potato dreams are made of. Without sounding like a broken record, but winter is coming, and it’s not just because the final season of Game of Thrones has started. This means we’re swapping the *outside world* for our sofas; after all, tis the season to rug up and spend all your time at home cancelling plans. And we’ve found the perfect armchair to do it in. 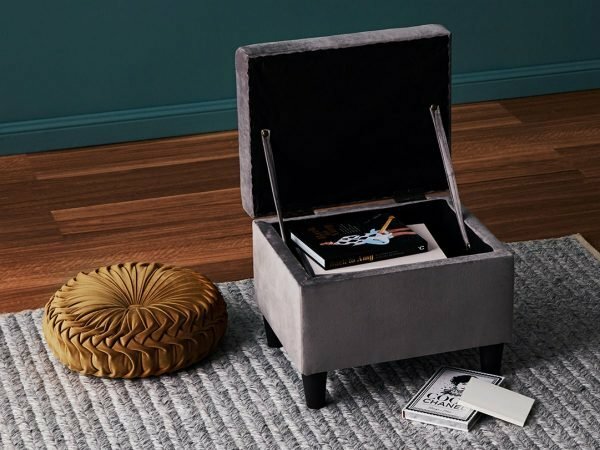 The powers that be at BIG W have just released their Retro Fusion inspired homewares collection, which features a velvet ottoman (with hidden storage capabilities) and matching ‘slipper armchair,’ which we would very much like to indent our bodies into ASAP, please and thank you. The ottoman will set you back a paltry $49, while the armchair is a bit exxier at $99, but it’s an investment in our backsides we’re willing to make. We&apos;d like to live our best life in this set. Image: BIG W.
The perfect chair for veging out and draping. Image: BIG W.
Hidden snack stash anyone? Image:BIG W.
Both pieces are inspired by swish Art Deco vibes (think Great Gatsby) and are currently available for pre-order, exclusively on BIG W&apos;s website and will launch in-store on April 24. The rest of the collection is pretty fancy too. 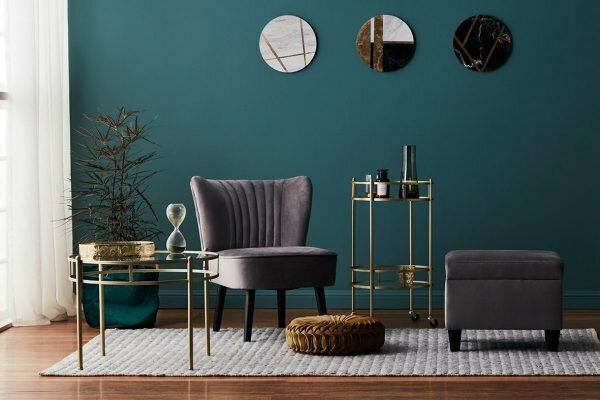 BIG W have tapped into luxurious 70s-inspired emerald greens and mustard golds, which are both key colour trends for 2019 (make sure you drop that into conversation to sound fancy), and teamed their designs with vintage accents and mid-century flair. For those who don&apos;t speak interior magazine talk, envisage yourself inside a Mad Men or The Godfather set and et voila. Maybe pick up a matching faux fur throw and matching cushion and get ready to live your best life from here till September. We&apos;ll see you in spring.